In the world of marketing, not all leads are the same. The leads with the greatest chance of converting to customer or patients in any line of business are warm leads. 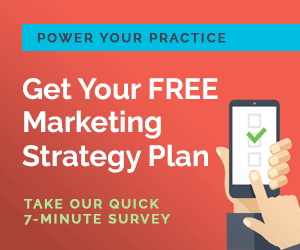 As an orthodontic practice, the majority of your marketing strategy should be geared toward strategically generating warm leads and following up with them. Everyone knows what a cold call is. Why exactly? Because everyone hates them. Everyone. The reason it’s called a “cold” call is because there has been no indication from the person being called that they are interested in the product or service being sold. The only thing the caller knows is the lead exists and the possibility of gaining the lead’s business exists. Unfortunately, since people are so against cold-calling, the possibility of them becoming a customer may no longer exist after the call. Cold leads are people who have never expressed interest in a business but are suddenly asked to become a customer in some way. Cold leads almost always backfire, with the lead feeling negative about the interaction and thus, negative about the company. Warm leads, on the other hand, are entirely different. Warm leads are potential customers who have already formed some kind of relationship with the business or have expressed some interest in the company in some way. In orthodontics, following warm leads over cold leads makes an incredible difference in your business conversions. Since orthodontic treatments are significant investments, people will be especially turned off by cold calls or spammy marketing emails. And if a family already has a trusted orthodontist they go to for their family’s orthodontic needs, they are unlikely to want to switch out of the blue. On the other hand, when people are on the hunt for an orthodontist they will likely be taking the initiative to make calls to local offices and conducting online research. By following up on these leads with plenty of helpful information, you effectively take a good amount of stress off their shoulders by helping them on their search. Dentists will often refer their patients to orthodontic specialists as well, so your follow-up in these cases will also be a helpful step in the right direction for these prospects. One of the tricky aspects of marketing your orthodontic practice is finding the right balance of reaching cold leads in a way that effectively turns them into warm leads. One of the best ways to do this is writing a blog. By using well-targeted SEO practices and by creating a blog filled with valuable, original content, you can help people who are already researching orthodontics find your business. Use strategically placed hypertext links that direct the reader to contact your office in some way – by phone, filling out an email list form, or using their contact information to download a brochure. Using a small business CRM will also be incredibly helpful in following your warm leads. By using a CRM, you can track the interactions different users have on your website. You track which blog posts they spend the most time on and send relevant marketing topics in your email campaigns. You can also create a referral program to create more warm leads organically. Offer benefits to patients who refer new patients to your business and to the new patient who has been referred. 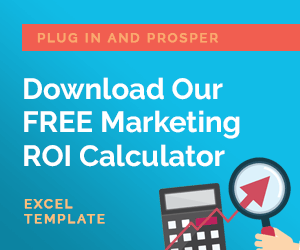 By using current or past patients that have a positive and trusted connection with another individual, you can effectively turn a previously cold lead into a warm lead almost instantly. Time is of the essence when it comes to following up with warm leads. Make sure to make answering the phone a priority so you don’t miss potential new patients. And if you do miss a call and receive a message from a warm lead, call them back as soon as possible to maximize your chances of earning their business. Remember, if a potential new patient is calling your office, they are likely also calling other nearby offices as well. Gear your marketing strategy to creating warm leads and following up, and you’ll be a solid step closer to getting those new patients.